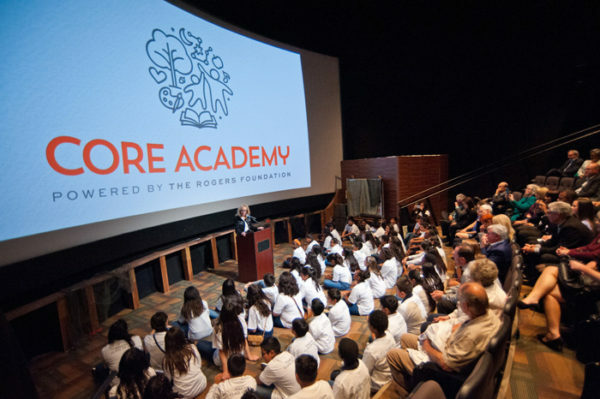 Core Academy was unveiled to the public during a special event at the Las Vegas Springs Preserve. The Tomchin Class of 2022, a cohort of sixth grade Scholars, was introduced by community leader and humanitarian Jan Jones Blackhurst in a touching ceremony that outlined Core’s mission and goals. We’re forever grateful to Beverly Rogers, Rory Reid and The Rogers Foundation for their belief in and support of our organization. Core was launched in Southern Nevada. 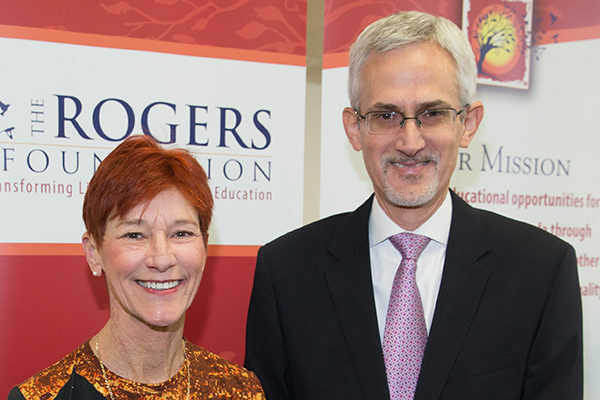 The Rogers Foundation made the generous commitment to cover all administrative and fundraising costs, allowing all fundraising to be directed straight to the Scholars and the model. This would be the first “merger” of its kind in the Las Vegas community. 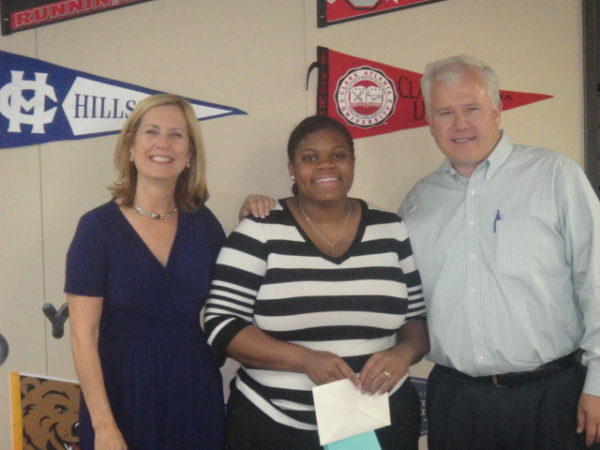 Beverly Rogers, Chairman of the Board, and Rory Reid, President/COO, of The Rogers Foundation visited West Prep Academy and recognized the impact and potential the program provides. They also believed in our new, enhanced Character Education vision for the program, where emphasis is placed on creating individual success for students. A decision was made to focus on this model to provide under-resourced students even greater opportunity. 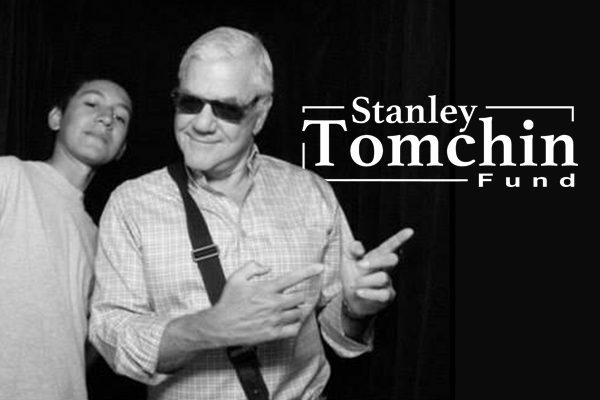 Philanthropist Stanley Tomchin generously provided the capital funding to launch a second cohort of Scholars. His continued funding allowed the foundation to innovate and scale the model to reach more students and became a model that would set the precedent for all Character Education-based programs in Nevada. The Southern Nevada program was launched by sponsor Lindsay Harper, former Executive Director of the Las Vegas affiliate. The initial funding for the new class was provided by the Windsong Trust whose board recognized the great success for students in Las Vegas. This model was a school-based program that served the entire sixth-grade class at West Prep Academy. The model developed from a tutoring and mentoring program to the multifaceted, Character Education-driven model it is today. Julie Murray and Kevin Stolworthy launched the Las Vegas chapter of the program. For over 16 years, the organization served the children of the Bud Weeks Plaza housing project, ensuring that 99% of the over 100+ children empowered, graduated from high school and went on to post-secondary education or gainful employment. Core currently employees three original Scholars from this class. Committed community leaders, with the help of Jan Jones Blackhurst, then Las Vegas Mayor, and the Harrah’s Foundation, helped make the program a continued success. A compassionate businessman in New York made a promise to a class of sixth-grade students from less-fortunate families in Harlem. He vowed to provide college tuition to all who stayed in high school. His visionary deed had positive impact. 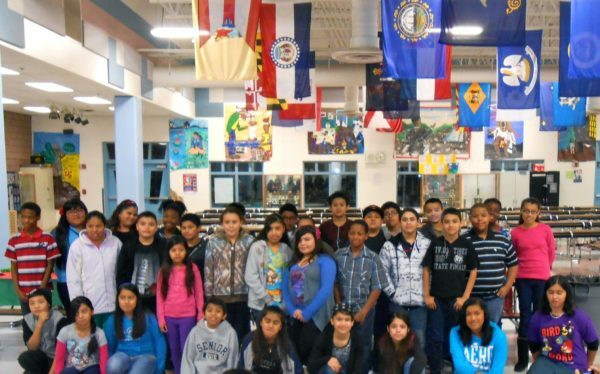 The success led to the creation of a nationwide program that helps students in low-income communities achieve their goals.